A long time ago, SR Suntour believed suspension forks had a valuable role to play in the development of the mountain bike, which back then, were predominantly rigid. 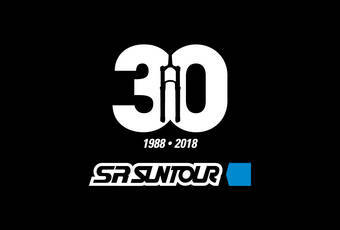 As true today as it was at the beginning, SR Suntour’s philosphy is to make sure that all riders, regardless of their budget, benefit from SR Suntour’s technical innovations. We call it REFINED SIMPLICITY - bringing together performance, quick and easy servicing and value for money. The e-bike revolution stems from the same principle; make cycling more enjoyable and accessible. SR Suntour has, since its inception, boldly swam UPSTREAM against the current of convention, daring to develop our QSP approach, cartridge based suspension systems and most recently the PCS system. Our commitment to Refined Simplicity drives us on. 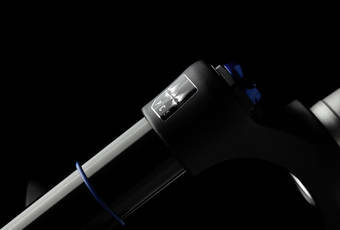 The latest e-bikes are performance bikes designed and built to meet the demands of the most skilled of riders. SR Suntour is proudly at the forefront of this phenomena both on and off-road. Still swimming UPSTREAM, SR Suntour proudly presents our updated products line for MY19. When you dare, accept the excitement! 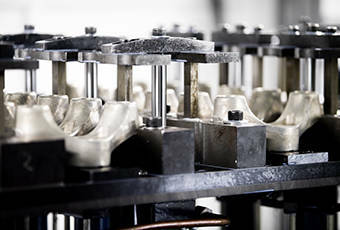 We have a comprehensive, in-house quality control structure which stretches from basic material analysis to fatigue testing machines equipped with hydraulic servo arms and a three-dimensional measurement approach to precisely check the dimensions. Also state-of-the-art testing machines to evaluate the strength and performance of our products are in-house which guarantees a stable and dependable supply of high quality products. The guardianship of employees‘ health and the prevention of labor disasters are the duty of business management. Within the company, professional disaster prevention programs, occupational safety and health management systems, measures to prevent employees from taking risks related to health and hazards, management measures of hazardous materials and hazardous substances related to machinery, and regulations that protect workers‘ health and secure comfortable and healthy working environment. For the effective implementation of the occupational safety and health management, subject to external audit review of Lloyd‘s in 2015 and successfully imported OHSAS 18001 certificate. Phenomena such as global warming and environmental pollution on a global scale have become a dangerous problem. Since our company obtained the ISO14001 certification, we actively involve ourselves in environmental-friendly production on a global and local scale. The bicycle itself is an environmental-friendly product, and contributes to a healthy and sustainable life. We always start our approach to product developments by analysing the demands of our customers. At the same time we explore new materials, new technology to incorporate them into our new products. From the development stage to the finished product we always keep in mind the requirements given from the customers regarding quality, safety and price.